Lost WiFi passwords are one of the many mysteries of using Macs. 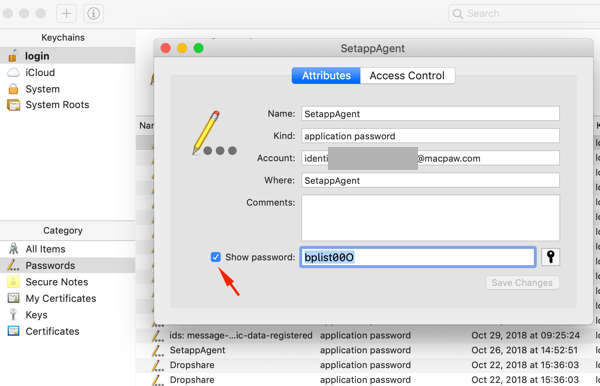 You’ve connected to a WiFi network when you first set up your Mac, but if you ever need to retrieve WiFi password to share with someone else, it seems near impossible to access it. These scenarios are all too familiar to students and office workers alike, leading to incessant irritation and regret that they hadn’t taken note of the password at the time of making it. Here’s a quick guide to resolving those situations. All routers come with a default network name and password which can be used to access the connection, providing you haven’t changed them since installation. They are normally located under the code SSID on the bottom or back of the routers. If you can’t find the password on the actual router, it’s worth getting your hunting gloves on and sifting through the household paperwork to find it in the device’s manual. But if that seems like a lost cause, you may be able to locate the password by trialing common username and password combinations. These vary between network providers, but most use “admin” for the username and either “1234” or “admin” for the password. Just in case your default password wasn’t “admin” — don’t worry. 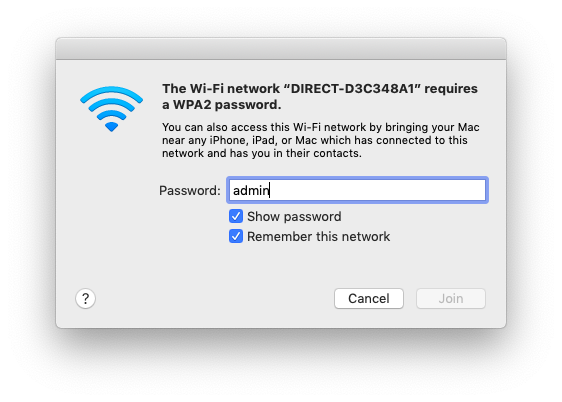 Finding your current or previous WiFi network passwords on Mac is in fact pretty simple. Open up the spotlight search by clicking on the magnifying tool in the top right of your monitor and type “Keychain” to launch an app in-built into macOS systems, which provides detailed network data for WiFi connections. Once you’re in Keychain, select the name of your network in the list, and click the info button at the bottom of the window. This will allow you to select “show password,” prompting you to enter your Mac’s login details. After you do, Keychain will display WiFi password for the network. Clearly, resetting the router is a lengthy and tiresome process that many of us don’t have time for, or simply can’t be bothered with. It’s usually the latter. But, don’t fret, you can reset your router and force it to use the default WiFi passphrase printed on it. Simply look for a small reset button on the router — it’s typically a pinhole button you’d need to press with a small, thin object (we recommend a bent paperclip). Hold the button for 10 seconds, and your network’s settings will be completely erased and reset to their defaults. This then enables you to use the login credentials stated on the router itself, meaning you can take note of the password to prevent similar stressful situations in the future. To always be able to see WiFi passwords, our recommendation would be to get a simple and secure password manager, such as Secrets. Secrets is an efficient and friendly system which securely stores important information like passwords, credit cards, and bank details. And besides, Secrets uses impressive predictive analytics to boost your productivity. 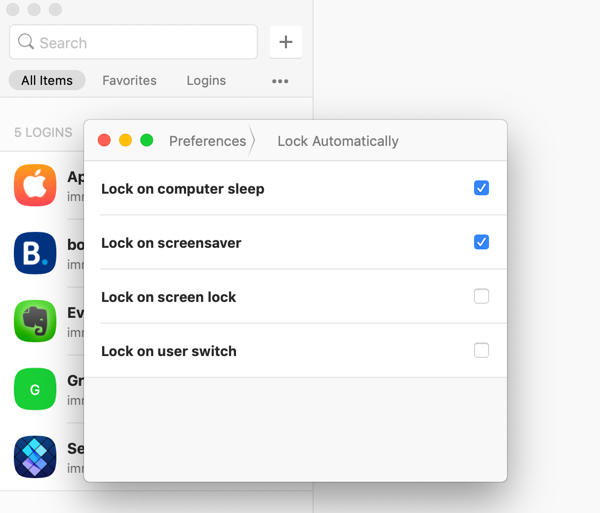 By automatically filling out logins on Safari or Chrome, you can forget about copying and pasting, or scratching your head remembering which password you used for a particular website. 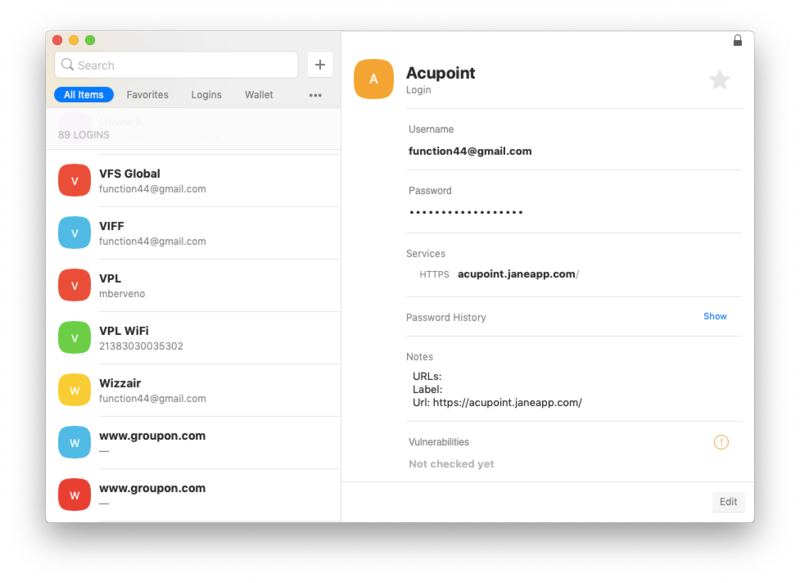 The intelligent search feature based on keywords and tags also enables you to find particular information quickly, as well as helping to create strong, secure passphrases through the password generator. In addition, you can save yourself the hassle of transferring data manually to other devices, as your secrets are effortlessly kept in sync across your Mac, iPod, iPhone, and iPad using iCloud. Secrets was designed with security at the forefront of priorities. All your data is stored in the OpenPGP format, which is an established and well-known standard used by most big business databases. The format allows data to be encrypted and signed with AES/RSA algorithms, a tried and tested system used even by the US Government. Due to there being no browser extensions or helper programmes, Secrets is the only app to decrypt and handle your data, preventing third-party access. Furthermore, automatic locking keeps your information safe, even if your device is lost or stolen. With established and logical security measures, you can rest assured that your secrets are safe with them. Through having all your important data in one easily accessible location, you’ll never be searching through the paperwork archives for lost passwords or usernames again, so you can put those hunting gloves away for good. Best of all, Secrets is available for you to try free via Setapp, along with over 120 other useful apps for your Mac. Put your passwords to safety today and never forget them again.